Skylanders is back! Check out our review for the newest entry, Skylanders SWAP Force. Shameless money grabs are enough to make anyone sick and this generation of consoles have had their share of it from horse armor to on disc DLC. The Skylanders series is undeniably another money grab but it is one I don’t mind so much. Kids love collecting things so why not give them a series of games that they can collect toys for and use in game. I am sure parents feel a bit different about it though considering the near yearly release that comes with a new series of toys to collect. The new dual elemental gates can by passed with either a SWAP Force Skylander or two regular ones in co-op. 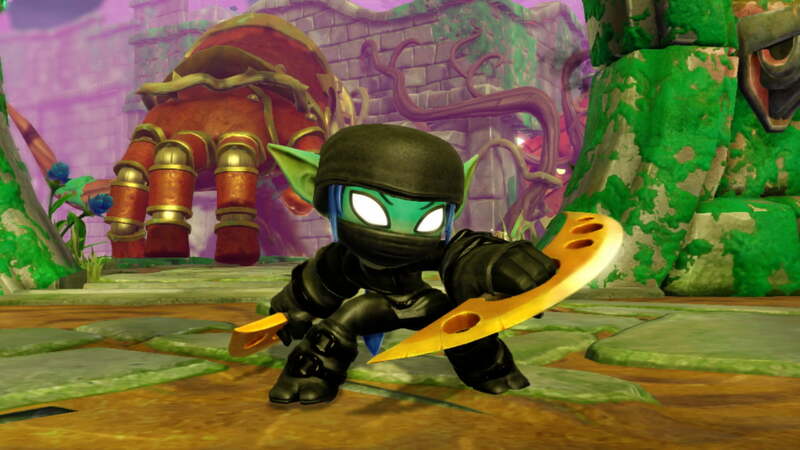 The basic concept behind Skylanders is that players buy little figurines that can be placed on a “Portal of Power” and played in game as long as they stay on the portal. These toys fall into elemental categories that are used in game to determine access to various gated off side sections though the majority of the game can be completed with toys that come in the starter pack with the game. The cool factor is that the toys store the in game characters stats, abilities, and inventory. This means that a toy is not tied to a save game so it is easy to hop into someone elses co-op game and still progress a toy. 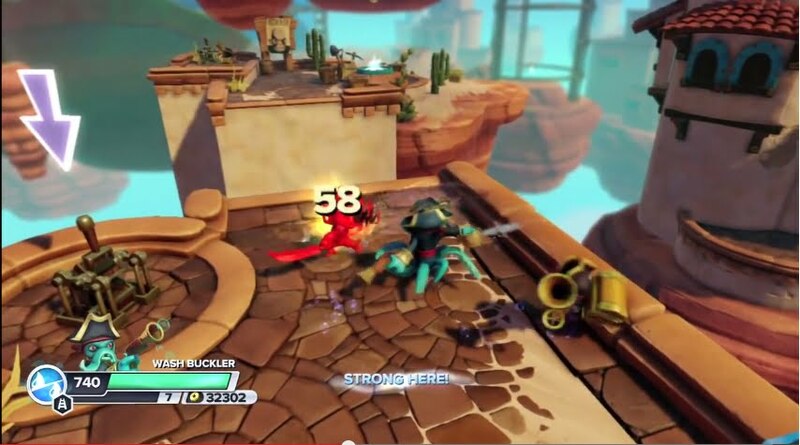 This years rendition, Skylanders SWAP Force, picks up a new developer in Vicarious Visions while dropping the creator Toys for Bob. The Toys For Bob Skylanders titles suffered from a bit of samey with the action-RPG light style of gameplay despite Giants adding the Giant Figurines. While SWAP Force continues the “buy the toys and play them in game” concept and keeps the core of the gameplay the series is known for, a couple key new features including new toy types freshen up the series and feels like a true sequel rather than rehash. Even with more platforming, the core game play still is all about hacking and looting. As mentioned, the core of the gameplay is still the same. Players move through levels from monster group to monster group questing, hacking, and looting while progressing the story. It really is similar in concept to games like Gauntlet and Diablo but nearly as isometric or as complex in the loot department. The big change is the ability for characters to jump at will and is probably the most requested features by fans of the series. 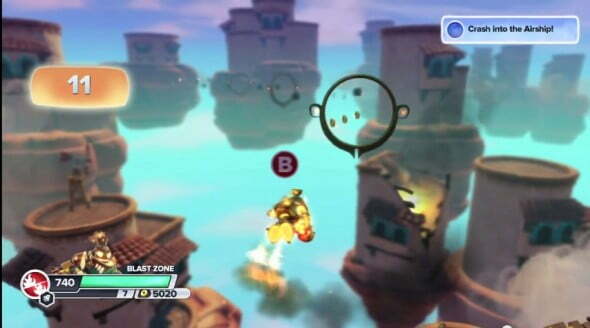 Before, players would have to use things like jump pads to simulate any kind of vertical gameplay, but with free reign of the vertical movement available to the player, the game takes on a whole new dimension both literally and figuratively. The addition of jumping allows sections of platforming to provide an enjoyable filler instead of just running to the next section of enemies. The only troubling aspect is that it took 3 games to add gameplay that has been around since gamings roots to a series that clearly was made for it. The SWAP Force characters have new arcadey mini sections based on the type of locomotion their bottoms have. 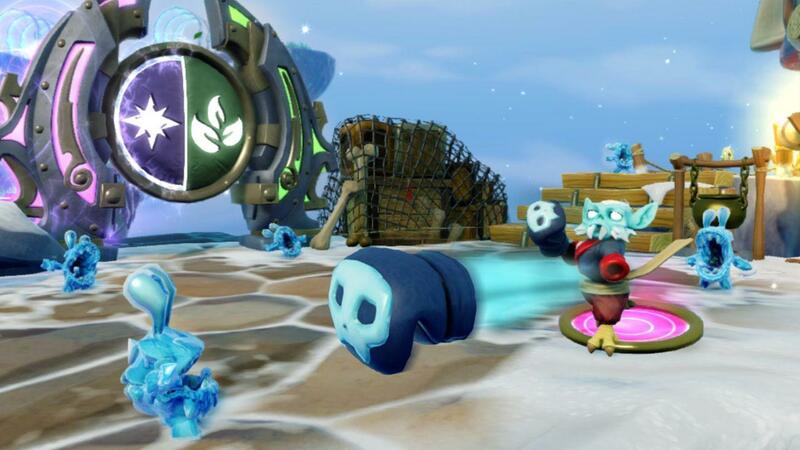 SWAP Force also adds a new class of Skylanders appropriately titled SWAP Force because their tops and bottoms and can swapped between them to create new Skylanders. Each piece has their own stats, attack ability, skill tree, element, and for the bottoms — locomotion type like rocket power, digging, or climbing. The locomotion types allow access to a nice distraction in the form of arcadey on-rails sequences such as flying through rings or dodging enemies as the Skylander climbs. These sections mixed with the platforming make SWAP Force a much more enjoyable experience by moving it away from the “oh joy walking to another group of enemies experience” that the first two titles had. Another side effect of having Skylanders that have multiple elements is the addition of dual element gates. While players can get past them by mixing up the SWAP Force figures, Co-Op players can make it through with just regular Skylanders figures giving more purpose to those from the older games. Some old favorites return and are just a bit cooler. Both animation and graphical fidelity have improved in SWAP Force to the point that in game footage is near Pixar quality. The high production values are probably due to the next generation console versions in development also and luckily that bled over into the older PlayStation 3 and Xbox 360 versions. The prettiness of the title is backed up with what can only be considered an all star voice cast. The ever lovable Patrick Warburton returns to voice Flynn, the cocky yet goofy airship captain that aided the Skylanders in the previous games. The rest of the cast is voiced by a who’s who of gifted voice artists like Troy Baker, Steve Blum, Cam Clarke, & Tara Strong. The new perspective for the series brought by the change of developers might just be what the series needed to not turn into another yearly rehash. Jumping really changes the game more than one would think and the swappable tops and bottoms of the figures is a great way to introduce something different. Skylanders SWAP Force is the type of game that can be enjoyed by both kids and their parents.